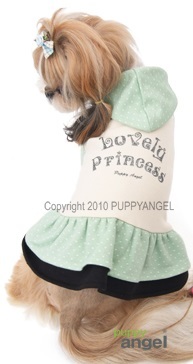 Tell the world she's your Lovely Princess in this sassy Puppy Angel Lovely Princess Hooded Dress. 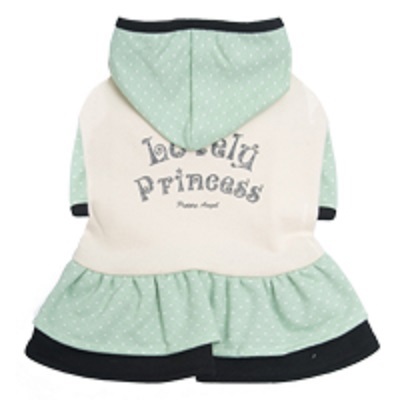 Made from 100% cotton the layered skirt design combines classic black with mint polka dots for a truly stunning outfit. The bodice is white with the words Lovely Princess on the back as a pretty transfer while the sleeves and hood are also made of mint fabric covered in polka dots.